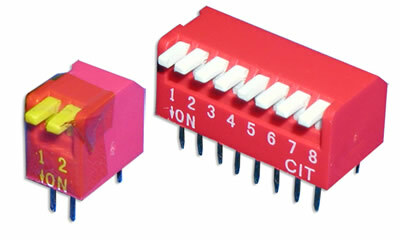 The KP Series is a piano style DIP switch with the option of extended or recessed actuators. Positions range from 02 to 12, with top-tape seal option and tube packaging. Contact material is gold over nickel plated phosphor bronze and terminal material is gold over nickel plated brass.